Article discussing agency, Amazon, and publishers. Full article: The e-book wars: Who is less evil, Amazon or book publishers? Article was mentioned in this article: Who Cares If Amazon Becomes an E-book Monopoly? Read more about The e-book wars: Who is less evil, Amazon or book publishers? Amazon CloudSearch enables customers to offload the administrative burden of operating and scaling a search platform. Customers don't have to worry about hardware provisioning, data partitioning, or software patches. Amazon CloudSearch offers low, pay-as-you-go pricing with no up-front expenses or long-term commitments. From the trenches: are publishers’ library policies affecting book choices? The judge ruled that although a small portion of Mr Jones’ words might be deemed libellous by a jury if it went to a full trial, there was little point pursuing that avenue because the potential damages would be slight compared to court costs and time. Amazon.com Inc and Barnes & Noble Inc unveiled Harry Potter e-books on Tuesday in deals that suggest the companies made big concessions with author J.K. Rowling for electronic access to the hit series. Amazon said it struck a distribution deal with J.K. Rowling's new website pottermore.com. Amazon customers can search for the Harry Potter e-books in the company's Kindle Store, but will be directed to the Pottermore Shop to register and buy them, then add the titles to their Kindle library, the company said. Commentary by publishing consultant Mike Shatzkin about Amazon not being able to sell Potter ebooks directly. Read more about What Did Amazon Ever Do For Us? Will Kindle's Free Samples Change the Structures of Plots? Search-engine optimization reshaped the craft of a good headline. Will Amazon's book promotions have a similar effect on novels? Read more about Will Kindle's Free Samples Change the Structures of Plots? If you think independent bookstores hated and feared Amazon yesterday you might want to check with them today. Amazon has just purchased a robot army. See this news story for details. I would have gotten away with it, too, if it hadn't been for you meddling kids! 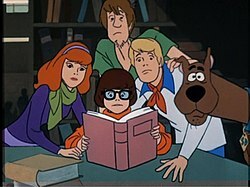 Read more about I would have gotten away with it, too, if it hadn't been for you meddling kids!